The immediate past Governor of Rivers State, Hon. Chibuike Amaechi, has described the probe of his administration by his successor, Nyesom Wike, as a sham, a fraudulent witch-hunt meant to deceive the public. The former governor also took a swipe at his former deputy, Tele Ikuru, over his claims that the Amaechi administration under which Ikuru served as deputy governor was the most corrupt in the state. 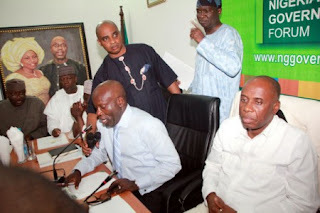 The statement read: “This so called Wike’s probe of Amaechi is dead on arrival. All the noise Wike is making is to grab media headlines with his lies of monumental corruption against Amaechi. It’s all drama made for the media. What is playing out is a script written and directed by Wike. Wike should move to Nollywood where his devious skills would probably be useful. 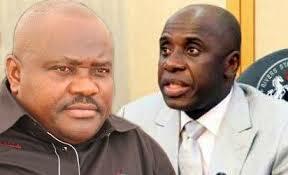 On the claims by his former deputy, Ikuru while presenting a report to Wike, the statement condemned Ikuru. “We won’t dignify him with a response. He’s such a worthless piece of trash that we won’t waste our energy on. This is a man with no dignity, no shame. No self-respecting man would talk the way Ikuru is talking right now. This is a character that served the Amaechi administration for almost eight years. While he was there, he never for once complained that Amaechi or the government that he was the second-in-command was corrupt. As a matter of fact, he was singing and parroting everywhere that Rivers State was truly blessed to have a governor like Amaechi, that Amaechi will always be remembered and hailed for changing for good the fortunes of Rivers State. 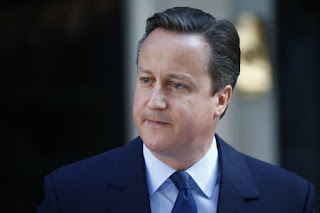 “Today, the shameless clown is the one shouting Amaechi is corrupt, everywhere. If the government was as corrupt as he claims, what was he doing there for almost eight years, telling the world that Amaechi is the best thing to happen to Rivers State? No character, no self-respect, no dignity, no shame. A character like Ikuru should never be taken seriously,” the statement concluded.